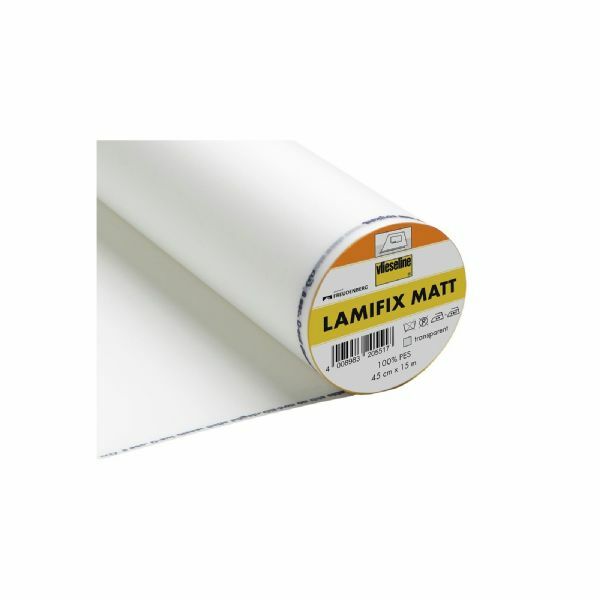 A transparent, matt finish, iron-on film for fabrics that laminates and makes the fabric wipeable. How to use. 1. Place the Lamifix with the writing so it is right way up on the right side of the fabric. 2. First iron lightly, then cut to exact measurements. 3. Cover with a dry cloth and press firmly for about 8 seconds.4. Allow to cool completely.Important: Wipe with a damp cloth only - do not wash.